Baby Ninja Car Sticker- If there is a little samurai travelling with you in your vehicle then you will need this fantastic baby car sticker. A design from our Japanese wall stickers. A fun decal that will make everyone aware that you're travelling with a baby. 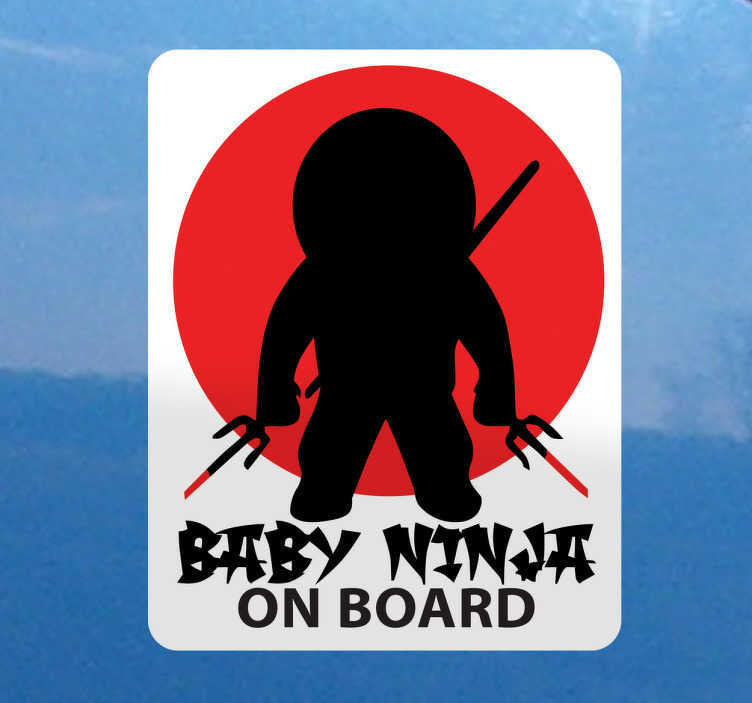 This baby on board sticker design was inspire by Japanese ninjas. The red and white background of the car window sticker represents the Japanese flag.